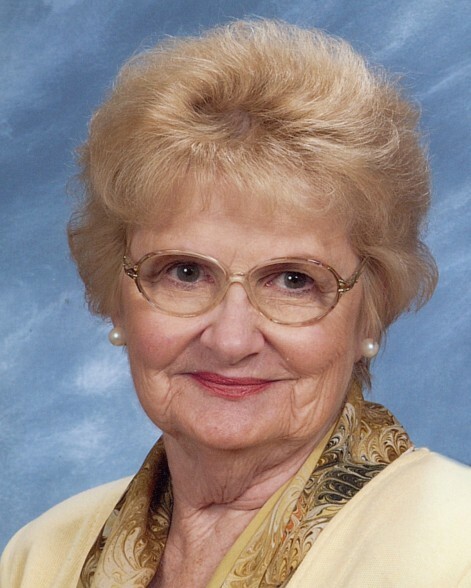 Betty Lee Parks Anderson, 86, a lifelong resident of Chattanooga, Tenn. passed away on April 13, at Life Care Center of Cleveland. Mrs. Anderson attended Central High School and the University of Chattanooga where she was a member of the Alpha Delta Pi sorority and a UC cheerleader. She was a member of Hixson United Methodist Church. She was preceded in death by her husband of 57 years, Daniel W. Anderson, Jr.; her parents, Gale Dewey Parks and Nell Isabella Carter Parks; her sister June Starnes; her brothers Bob and Paul Parks. Survivors include her son, Dan W. (Vicki) Anderson, III, of Hixson; daughter, Amy (Bob) Sanders of Georgetown; two grandsons, Bret (Sasha) Anderson and Joshua Boyd; two great grandchildren, Lucas and Jillian Anderson; and brother John Parks, all from Chattanooga. Funeral services will be held at 1:00pm, April 22 at Heritage Funeral Home Chapel with Pastor Mark Mariakis officiating. Interment will follow at the Chattanooga National Cemetery, 1200 Bailey Avenue. In lieu of flowers, memorial contributions may be made to Hixson United Methodist Church, 5301 Old Hixson Pike, Hixson, TN 37343, or the American Lung Association. The family will receive friends for visitation from 11:00-1:00pm, April 22, until the time of the service at Heritage Funeral Home, 7454 East Brainerd Road. There's still time to send flowers to the Visitation at the Heritage Funeral Homes & Cremation Services - Chattanooga from 11:00 AM to 1:00 PM on April 22, 2019.